Your Web browser is probably the most-used application on your PC. You check your email in it, you write in it, you collaborate with coworkers in it, you use it to watch cat videos. With so much at stake, you need a browser that works well for you. But which one is the best? 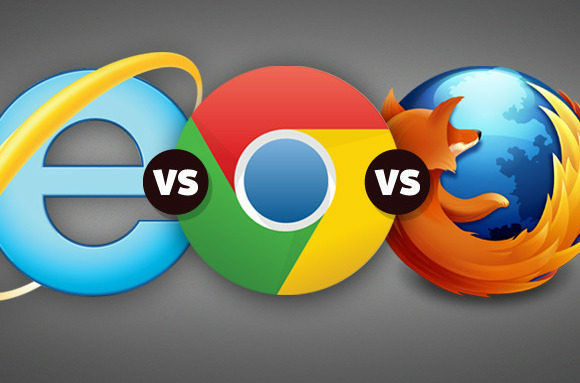 We put the three major Windows browsers—Google Chrome, Microsoft Internet Explorer, and Mozilla Firefox—through their paces and crowned an overall winner. When we looked at the browser contenders previously, we concluded that all the major browsers loaded webpages at similar speeds. Our test PC was an Acer Aspire Timeline Ultra M5 laptop with a 1.7GHz Intel Core i5 processor and 6GB of memory. The switchable graphics system consisted of an integrated Intel HD Graphics 4000 chipset and a dedicated Nvidia GeForce GT 640M graphics card with 1GB of video memory. In our WebVizBench HTML5 benchmark test, Chrome and IE 9 saw large increases in performance when we switched to the dedicated graphics card instead of the integrated graphics chip. Chrome achieved an average score of 5502 when we used the integrated graphics system, and hit an average of 5825 when we used the Nvidia graphics card. IE 9 came in second with average scores of 4797 and 5642, respectively; Firefox finished third after posting average scores of 4492 and 5600. Notably, Chrome did almost as well on this test using the integrated graphics hardware as the other browsers did using the more powerful Nvidia graphics card. So if your PC has a weak graphics card, you’ll probably get better performance from Chrome than from Firefox or IE. Winner: Google Chrome. Browser performance will vary some depending on your PC, but Chrome was a solid all-around performer in our testing. Current browsers continue the less-is-more trend that began with Google Chrome’s introduction in 2008, sporting thin toolbars and minimalist designs so that the page content takes center stage. Browser toolbars compared: Firefox, Internet Explorer, Chrome. Internet Explorer 9: In IE 9, Microsoft chose a hyperminimalist approach with an extremely narrow toolbar and few on-screen controls. By default, IE 9 shows the address bar and tabs in the same row, which can make things a little too tight, especially if you frequently have a lot of tabs open at once (you can choose to show the tab bar in a separate row, though). On the far-right edge of the toolbar lie three buttons that take you to your browser homepage, show your favorites, or toggle various settings. One nicety in IE 9 is its unobtrusive method of providing notifications: Instead of popping up an alert box that interrupts your browsing, it displays the message in a bar at the bottom of the browser window, where you can address it when you’re good and ready. In addition, IE 9 shows you a download’s progress via its taskbar icon, which fills in with green as you download a file. Chrome 21: Google has stuck with the same basic look and feel for Chrome since releasing it in 2008. It has no title bar, and by default it shows only the back, forward, and reload buttons, as well as the combined search/address bar and a button on the far right that opens a tools menu. The start screen helps you reach your most visited sites, as well as any Web apps you’ve added via the Chrome Web Store. When you download a file, it appears in a gray bar that lives at the bottom of the window. Click the orange button in the upper-left corner of any Firefox browser window to access frequently used commands. Firefox 15: While most other browsers now feature a combined search and address bar, Mozilla keeps the two separate in Firefox 15. Whether separate fields are better than combined ones is a matter of personal preference. One convenient feature of Firefox allows you to switch between search engines readily: If you want to use Bing instead of Google, for instance, you can do that with two clicks. Chrome permits you to switch between search providers, too, but requires a quick tweak in the Settings screen. With IE you need to install an add-on for each search provider (other than Bing) you want to add. Like other current Windows browsers, Firefox doesn’t show a menu bar by default; the various menu options live in a single menu that pops up when you click the orange ‘Firefox’ button in the upper-left corner of the window. Winner: Tie. In truth, you won’t find much differentiation between browser interfaces these days. All the prominent ones work the same, save for a few fairly minor differences. To say that security and privacy concerns are a big deal for browser makers would be a gross understatement. All of the major browsers have some baseline security and privacy features, such as pop-up blockers, protection against phishing attacks, and some sort of cookie blocking and filtering. IE 9 gives you lots of advanced security settings. Internet Explorer 9: IE 9 is easily the most flexible browser out there with regard to privacy settings. Its advanced security settings let you block or allow all sorts of things, but those granular controls are a bit much for most users. 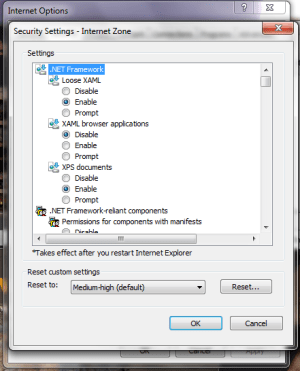 For the rest of us, IE 9 offers a choice of various preset security and privacy levels. IE 9 also includes a reputation-based download checker: If you download a questionable or previously unknown file, the browser will warn you about it. If the file is safe, it’ll download the file, no questions asked. That last bit is useful because it reduces “warning fatigue”—you’ll get a warning only when necessary. 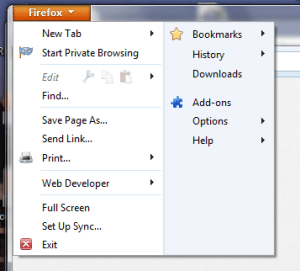 Firefox 9: Firefox’s privacy and security settings cover all of the basics. It can block phishing sites and other malicious sites, and it permits you to turn on Do Not Track to block third-party cookies. Beyond that, Firefox 9 will clearly show you whether a shopping or banking site is safe, questionable, or unsafe via a badge in the address bar. And it includes a link to a Firefox-specific plug-in checker site so you can see if any of your plug-ins are in need of updating. Chrome 21: Chrome’s claim to security fame is the sandboxing feature, which quarantines each webpage you open so that it can’t interfere with other pages you already have open, or with anything else on your PC. For example, if a page you visit tries to download a piece of malware to your PC without your knowledge, the sandboxing feature should prevent that site from carrying out its evil deeds. Chrome does tie into a number of Google services, though; for instance, it uses Google services to autocomplete your search queries, predict which site you meant to visit if you mistype the address, and so on. If you don’t trust Google, you’ll want to look through Chrome’s privacy settings carefully. Winner: Chrome…with a catch. Chrome’s sandboxing feature still makes it the browser to beat, but you should be mindful of its tie-ins with Google’s other services. Google Chrome comes out ahead of its rivals, but the competition is closer than you might think. Although Chrome’s simplicity, speed, and good security give it the edge over Internet Explorer and Firefox, both IE and Firefox still have a lot to offer in those areas. But hey, they’re all free! Try them all, play with them, and get a feel for them, and soon you’ll be able to select the one that works best for you.